If you're one of the lucky ones who had their baby in September, October or November, you then get the joy of planning a fun fall-themed pumpkin patch first birthday party. One of my favorite trends for toddlers of any age birthdays is "Our Little Pumpkin". How adorable are these smash cakes?! These would work great for a 1st birthday cake smash photo session or on party day. Adorable brownie bite pumpkins! A perfect favor for guests young and old. Also available in white icing. Our very own chalkboard pumpkin birthday invitation. Available for any age in digital format (perfect for e-mailing & printing at home) or have us print for you. Don't forget the traditional party hat! This rustic inspired burlap & felt hat is beyond cute and available from handmade shop, La La Lola Shop on Etsy. Many more themes can be found at the talented shop of Raw Edge Sewing Co.
Party at the pumpkin patch! Invite family and friends to celebrate on the farm. Available, here. 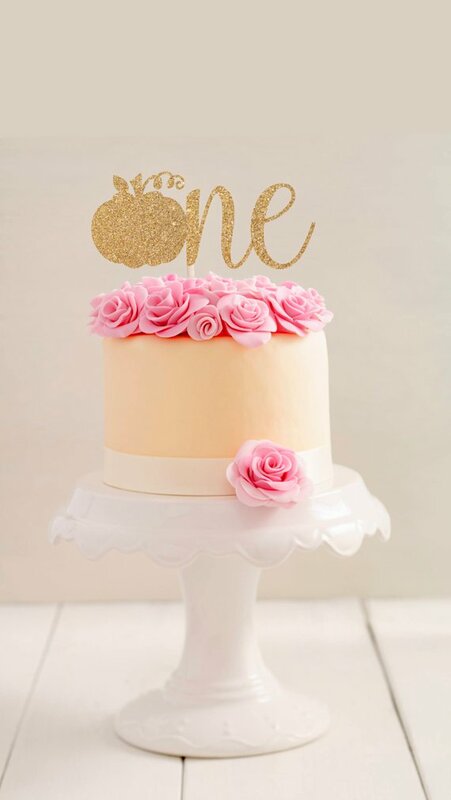 This stunningly beautiful cake (above) is by far my favorite for a girl. I can't get enough of the pink ruffles and gorgeous pumpkins & flowers. Wow! 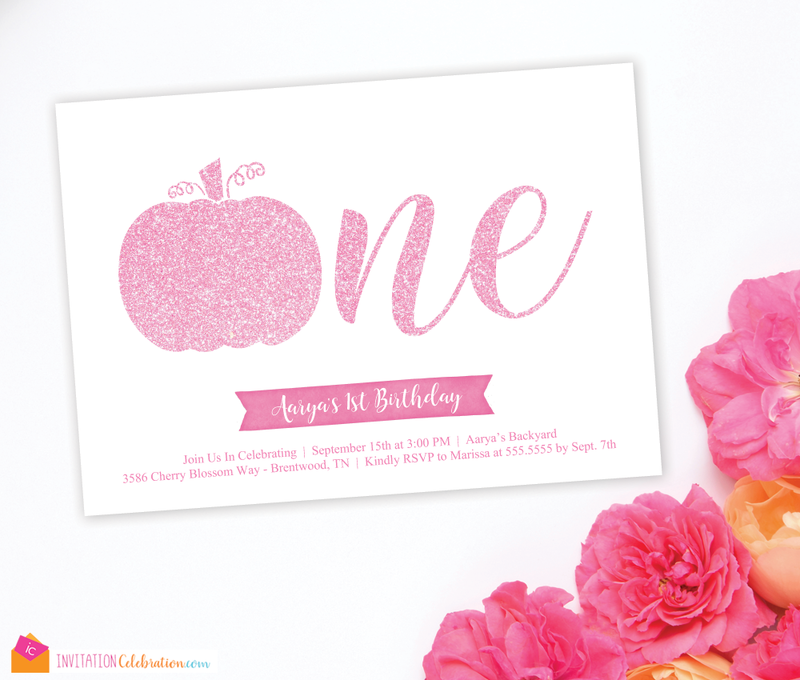 Host a pumpkin painting party with our fun & colorful invitations (above). Available as digital file or have us print. Snack & decor ideas to fit right in with your lil' pumpkin theme. Continue your theme with your cute little pumpkin's party outfit. Many adorable & customizable options are available on Etsy. Clever activity to keep kids busy, a downloadable Pumpkin Glasses kit. Cute and easy pumpkin party favors. Check out more fun party ideas on our Pinterest board, Little Pumpkin Party.